Australia's koalas are having a hard time this year. While bushfires rage through the country's southern territories, koalas are suffering from bad burns on their feet, and are relying on rescuers to save them from the blaze. Last week, the International Fund for Animal Welfare (IFAW) made a call for koala mittens - cotton paw protectors that people could sew and send in to help care for singed koalas. The organization received an outpouring of support - so much so that they announced they'd no longer need more paw protectors. "What started off as a local campaign, just asking the Australian public has just absolutely gone global and viral," Josey Sharrad of IFAW told Australia's ABC News. "We're now getting offers from as far afield as Russia, Kazakhstan, China, the UK and the US." The koalas are continuing to recover at the Adelaide Koala & Wildlife Hospital - six of the small marsupials are stable and receiving care from veterinarians. They are periodically put under sedation and their bandages are changed to prevent infection. 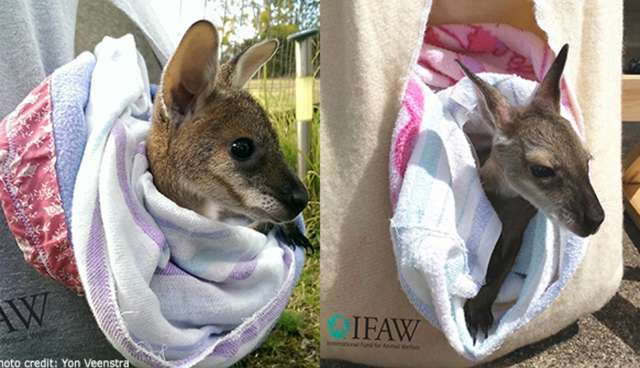 "These joeys need to be kept warm and quiet in a 'pouch'-like environment so carers use sewn pouches. 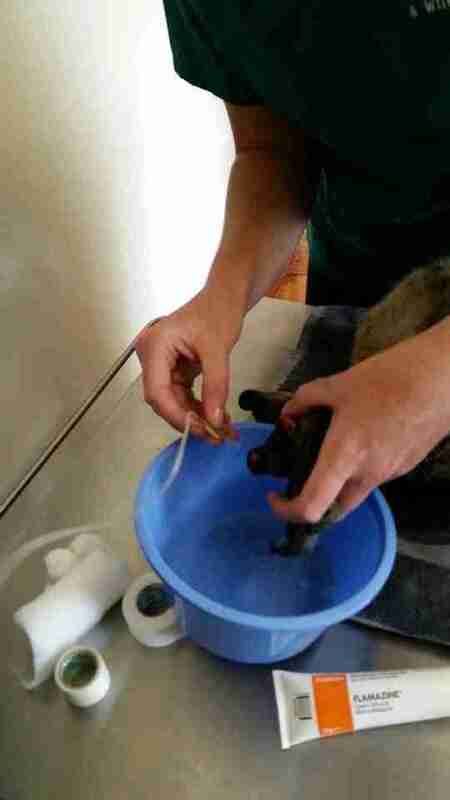 Pouches are changed regularly after each feeding and up to six pouches can be used per animal each day. So if someone has a few animals in care this can amount to a lot of pouches in the wash each day! With regular washing and daily wear and tear plenty of pouches are needed." 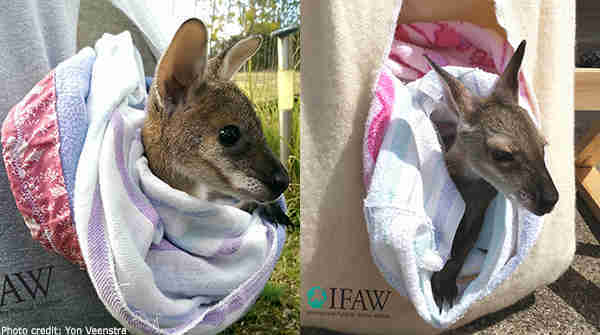 If you're not a natural sewer, you can also send supplies to the rehabilitation center or donate to IFAW to support efforts to save Australia's animals from bushfires.